The Migrant Workers Taskforce Report landed on 7 March, accompanied by the Federal Government’s response. The Taskforce was established in 2016, part of the Government’s answer to the revelations of widespread underpayments in the 7-Eleven franchise network (including the notorious ‘cash-back’ arrangements – workers having to hand a component of their pay back to the business). The Government appointed Professor Allan Fels, who had bowed out of 7-Eleven’s wage claims program, to chair the Taskforce. Along with Deputy Chair Dr David Cousins, Fels has overseen a program of stakeholder consultations and cross-agency meetings over the last three years, with the objective of working out what more can be done to address the exploitation of vulnerable migrant workers. The issue has evolved considerably since the 7-Eleven episode. Many more franchises have been caught up in ‘wage theft’ exposés (Caltex, Domino’s and Retail Food Group to name a few). Inquiries into the labour hire industry in three states have shed light on the shady practices of rogue labour contractors. Media investigations, Fair Work Ombudsman reports and academic studies have added heft to the conclusion that we have a serious problem with wage theft in Australia. The Taskforce Report reaches the same view, focusing on underpayments and other workplace law breaches affecting international students, working holiday visa holders and seasonal workers. It highlights ‘a culture of underpayment’ in some sectors. It says that: ‘Employers, including labour hire companies, that underpay overseas workers may also engage in other undesirable practices such as avoidance of tax obligations, sham contracting, or phoenixing to avoid employee entitlement obligations.’ It calls out businesses that prey upon the vulnerable by, for example: ‘advertising positions targeted at migrant workers that specify rates of pay below the lawful minimum wage rates’. Because of the widespread incidence of wage theft observed by the Taskforce, it recommends the introduction of criminal sanctions for ‘clear, deliberate and systemic’ cases of exploitation. The Government has accepted this recommendation. This is a bold step: Australian workplace law has generally imposed only civil penalties for underpayments and other statutory breaches. Cynics will say it is ‘too little, too late’, and that the Government simply has an eye on the looming election. Maybe, but if you’d told me three years ago that a Coalition Government would criminalise wage theft, I wouldn’t have believed it for a minute. That’s how far the dial has been shifted: even the Coalition knows that the community expects a tough response to wage theft, whether the culprits are big corporates or celebrity chefs. The Victorian Trades Hall Council and others who have campaigned for criminal liability can take much of the credit (the Queensland and Victorian Labor Governments are now also working on similar laws). On another important aspect of wage theft, the Migrant Workers Taskforce was not so bold. It recommended the introduction of a national labour hire registration scheme, targeted at the following sectors: horticulture, meat processing, cleaning and security. These sectors (apart from cleaning) were the same as those in which I found a prevalence of unscrupulous labour contractors operating in Victoria, in the 2015-16 Inquiry into the Labour Hire Industry which recommended a licensing scheme for operators in those sectors. The Victorian Government has since introduced a licensing system with general application to all labour hire providers in the state, as has Queensland. The worrying term in the Taskforce’s recommendation for national labour hire registration is ‘light touch’. In many respects, the proposal has elements in common with the Victorian and Queensland labour hire licensing schemes (apart from their wider scope of operation). Registration would be mandatory for labour hire operators in the four sectors. Registration could not happen until the applicant was compliant with workplace, tax, safety, migration and other relevant laws. Operators with a criminal history or past involvement in company liquidation would not be eligible. Penalties would apply for unregistered providers, and users of their services. But it would be a one-off registration process, with registrants simply required to update and confirm their details annually. Some government auditing of the status of operators would be undertaken to ensure compliance with the registration scheme (overseen by an ‘administrative entity’, possibly part of an existing federal agency). However this is a long way from the robust type of enforcement agency, with investigatory and evidence-gathering powers to enforce licensing standards and requirements, now found in the form of the Victorian Labour Hire Licensing Authority. 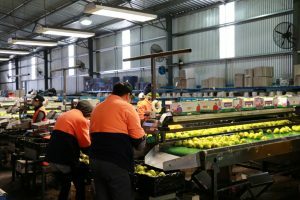 Rather, the federal Taskforce envisages a scheme imposing ‘a low regulatory burden on labour hire operators’ in the four industries that would be covered. Higher penalties including criminal sanctions for the most egregious forms of systematic and deliberate workplace law breaches. A national labour hire licensing scheme based on the essential elements of the new Victorian and Queensland laws. A more effective and accessible regulator (I heard concerns from workers and unions, during the Victorian Labour Hire Inquiry, about the absence and remoteness of the Fair Work Ombudsman especially in regional locations like Mildura). Extension of accessorial liability provisions in the Fair Work Act to the array of business models now used to distance companies from responsibility for workplace law compliance (e.g. outsourcing, labour hire, complex supply chains). Greater opportunity for collective representation of vulnerable workers, both to police observance of awards/other laws and to bargain for better working conditions. Union right of entry for these purposes is currently restricted to the work site or premises on which relevant employees perform work, whereas it may be necessary for unions to access the employment records or co-workers of other actors in a supply chain.